At Mercedes-Benz Financial Services, we understand that there is no such thing as a “one product fits all” concept. With that in mind, we strive to serve the individual needs of our more than 450,000 customers by providing comprehensive, flexible financing packages along with the highest levels of service, all delivered by professionals at Mercedes-Benz of Lynnwood. You’ve chosen to drive one of the most beautiful luxury cars in the world. Now choose the finance company that, for the last quarter century, has been offering the same quality you can expect from your Mercedes-Benz vehicle. When you’re ready to finance your next Mercedes-Benz, choose Mercedes-Benz Financial Services, the one source exclusively dedicated to providing customized and affordable financing solutions for Mercedes-Benz drivers across the USA. Protect your investment with Mercedes-Benz of Lynnwood’s First Class Protection Package. Allow Mercedes-Benz Financial Services to customize a financing plan that works for you. With First Class Financing there’s an option to suit every lifestyle. Choose from a wide range of financing terms from 12 to 72 months. You are building equity toward ownership. You can sell your Mercedes-Benz at any time, on your own terms. When you buy, the required insurance limits for liability and property damage are usually lower than when you lease. You can modify your car any way you like with non-factory accessories. Modifying a leased car is not permitted, unless they are retailer-installed, factory-approved options. At Mercedes-Benz of Lynnwood, we know that preserving the appearance and value of your new Mercedes-Benz is priceless. Through years of experience we have developed a comprehensive package of the finest protection products available offering the highest value: Our First Class Protection Package. It’s the best of the best, giving you peace of mind, knowing your car is being protected while maintaining that showroom appearance and value for years to come. It’s a new car owner’s nightmare. A gravel truck in front of you sending rocks and sand flying right at your car. The Pacific Northwest can be harsh on your windshield and paint, especially leading edges that are the most exposed to flying debris. Avoid costly repairs of dings and chips that decrease the appearance and value of your new Mercedes-Benz. You are about to take ownership of the world’s premier luxury vehicle; a vehicle you plan on enjoying for years to come. Treat yourself to an additional measure of peace of mind with superior warranty coverage for your new Mercedes-Benz. We want your financing to fit your lifestyle. That’s why, in most states, we offer terms from 12 to 72 months. This allows you to customize your loan according to your personal needs. It’s a new twist on delivery. Pick up your new Mercedes-Benz in Germany and take a vacation while you’re there. You’ll receive a tour of our Mercedes-Benz plant. Then you can be off to tour Europe. Enjoy the privileges of ownership with the benefits of leasing. Just defer a large portion of the retail financing payment to the end of the term and you’ll enjoy lower monthly payments. Mercedes-Benz Financing will finance most pre-owned Mercedes-Benz models up to 8 model years old. We offer flexible financing terms to meet your pre-owned financing needs. With our Auto Pay option, you can have your payments deducted directly from your checking account. No monthly check writing. No monthly mailing. 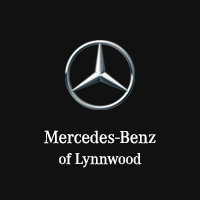 Mercedes-Benz of Lynnwood	47.8376735, -122.3018114.